Special agents from the Tennessee Bureau of Investigation have obtained indictments for a former Clay County corrections officer accused of inappropriately touching an inmate. At the request of 19th District Attorney General John Carney, TBI agents began investigating Spencer Mason, on March 9. During the course of the investigation, agents developed information that, on the previous day, while transporting an inmate in a van from the Robertson County Jail to the Clay County Jail, Mason inappropriately touched a female inmate. Clay County terminated Mason’s employment when the allegations surfaced. 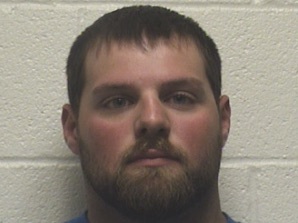 On May 17, the Robertson County Grand Jury returned indictments, charging the Celina man with one count of sexual contact with an Inmate and one count of official misconduct. on Wednesday, authorities arrested Mason and booked him into the Robertson County Jail on $25,000 bond.